The South Bay Children's Musical Theater holds Los Gatos auditions for local youth ages 5-18 interested in singing, dancing and performing in San Jose children's musical theater productions and movies. Los Gatos auditions and casting take place year round in the South Bay Area. 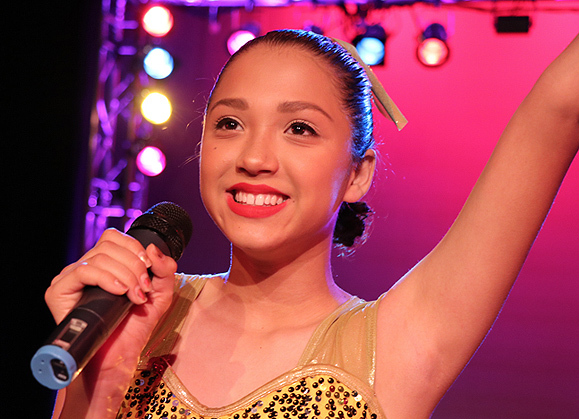 Join our SBCMT youth audition email newsletter to receive upcoming Los Gatos audition and casting notices for a variety of South Bay children's musical theater auditions and kids activities. Our high quality youth theater programs have been presented at the Hoover Theater, Saratoga Civic Theater and other locations around the South Bay. The South Bay Children’s Musical Theater (SBCMT) is dedicated to offering high quality performing arts experiences to kids ages 5-18 in San Jose, Santa Clara, Sunnyvale, Cupertino, Mountain View, Fremont, and surrounding South Bay communities. Whether singing and dancing in a multimedia musical revue, appearing in an original film on the silver screen, or recording a song in a professional sound studio, SBCMT participants and families enjoy a unique experience with a big production value for a limited time commitment. Unlike most productions that offer a handful of parts with leading characters, our one of a kind shows are custom created for each cast, allowing us to give everyone opportunities for singing, speaking and dancing roles. Local South Bay kids get a chance to shine in our colorful and elaborate shows featured at the Saratoga Civic Theater. Our convenient 10-week program with one rehearsal per week, makes participation in SBCMT productions fun and easy for busy South Bay families. Since 1985, SBCMT Artistic Director and Founder, John Bisceglie, has directed and choreographed hundreds of community, commercial, and professional productions featuring actors of all ages. For nine years, Bisceglie held the title of Artistic Director for San Jose Parks and Recreation’s Young People’s Theater, and served Gilroy’s Community Services Department in the same capacity for over twenty years. Bisceglie has enjoyed expanding his unique brand of children’s theatre to the San Francisco community and has been the recipient of numerous outstanding achievement awards from the Bay Area Theatre Critics Circle. The South Bay Community Children’s Theater has worked with thousands of children over the last 25 years and is always excited to introduce new kids and their families to the magic of theatre. The positive transformation that takes place with our young SBCMT participants is always a rewarding experience. Numerous kids have literally grown up in John’s productions, appearing in ten to thirty shows over the years. Many have gone on to pursue careers in theater while others have expressed how their involvement with SBCMT has helped shaped their lives in a positive way. We encourage you to check out our parent feedback to learn what our program has meant to so many South Bay cast members and their families. SBCMT’s creative team is passionate about theater and believes it to be as important to a child’s upbringing as reading, writing, and arithmetic. Cast members are encouraged to naturally develop their imagination and self-esteem while building lifelong skills such as creativity, dedication, self-discipline, and cooperation. Our program inspires kids to activate their individual creative aspirations while instilling the motto that “everyone has talent and can succeed” regardless of age and experience. We at SBCMT believe in empowering young talent and find it amazing what a little responsibility, teamwork and spotlight can do. You will always see a variety of talents and ages in our productions, from first timers to seasoned veterans. Ultimately, they always exceed our expectations as well as their own and are an inspiration to all who see them perform. Join our SBCMT youth audition email newsletter to receive Los Gatos audition notices for our upcoming youth theater productions, films and activities. Join our newsletter to receive audition & show updates. "My kids have participated in several SBCMT children’s productions and I can’t say enough about what a great experience it has been for our entire family." Read more.